How do we wake up and relate to other cultures? I was culturally slapped in the face (and literally slapped in the face) at a Pow-Wow at the Lac du Flambeau reservation in northern Wisconsin in 1991 when I was 15. I had been up there that summer to work for the Department of Natural Resources at a Youth Conservation Camp and had the best of all worlds that summer: I was away from the glaring eyes of my parents, I was making money, and I was up in the woods. The leaders of the camp would plan weekend outings to keep us kids from smoking cigarettes in the woods or making out under the boat dock and I signed up for nearly all of them. One happened to be an event at the Lac du Flambeau reservation to watch their annual Pow-Wow. The images were beautiful and the dancing magical, in my cultural wonderment I sat in the bleachers watching until I felt food against my cheek that had been thrown at me. I turned to follow the trajectory of the food and found three teenage Native American’s glaring at me. I had suddenly been put in my cultural place, I wasn’t sure what that was at the time, but I knew it meant that these kids were offended at my wonder, they were offended that I was at their event. At that point I went to work trying to understand; I wanted to know what the meaning of this emotion was and why would I not be welcome. In pursuit of understanding over the years I have sought many books on Native American issues and history, tribal struggles, and stood at the very spot where Crazy Horse was shot and killed at Fort Robinson, Nebraska. I have wished that I alone could change the tide of history for everyone hurt or damaged in the process of colonization, and I have looked back at my own family history with scornful eyes at drifter pioneers that squatted on land not nearly theirs. 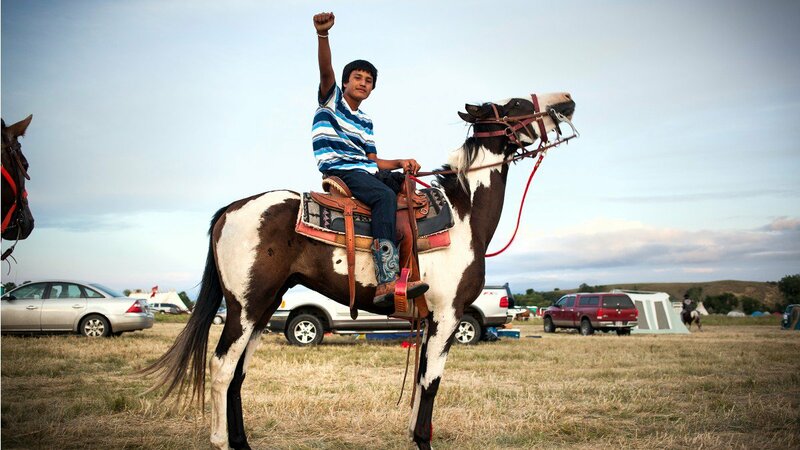 Since April of this year the citizens of Standing Rock Sioux Nation have been actively resisting the Dakota Access Pipeline project that is slated to run through the Missouri River which supplies water to the Standing Rock reservation in North Dakota. Near where Lewis and Clark set up a winter camp in Mandan, North Dakota in 1804 the tribes have all gathered for what is being considered the largest Native American Movement since the occupation of Wounded Knee in the seventies. Many people have gone out to assist and donate to the tribes in their resistance. Work is being done, people are putting their lives on the line, communities are coming together for a meaningful resistance that demands treaties be honored, respect for the environment and those impacted be recognized, and no further harm be done through colonialism. At the library we have several pieces that can help fill you in on the history and traditions that are at stake. 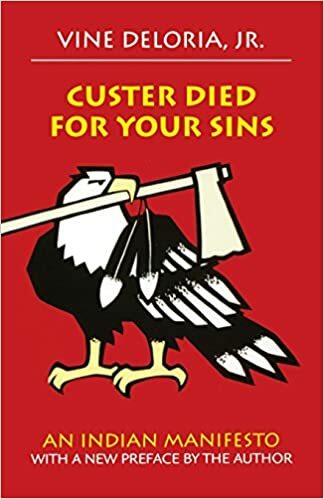 This is the first book I would recommend if your intent is to learn the truth behind Native American issues. Vine Deloria Jr. was an academic that taught in University and set up the first ever Masters program in Native American Studies. 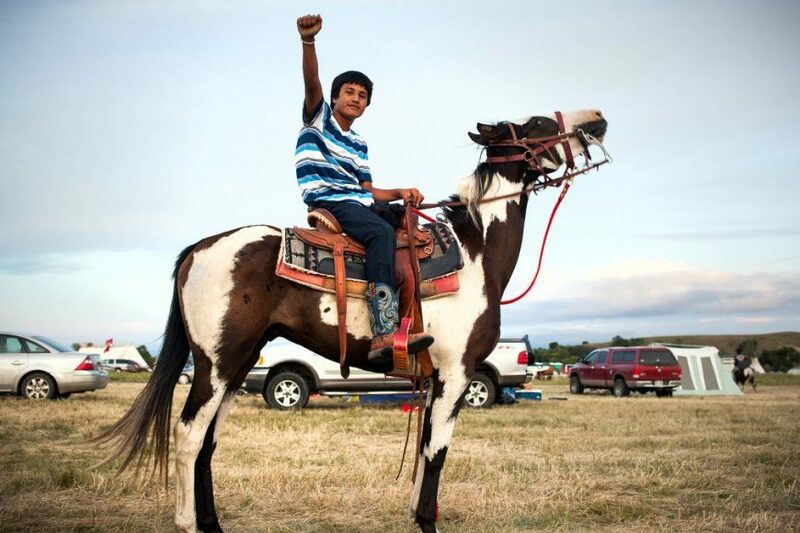 He was from the Standing Rock reservation where his father had been an Episcopalian missionary. Deloria was also a graduate of Iowa State University in 1958. His writings on Native American issues are widely respected and serve as a baseline for all other information. It has been several years since I first opened up this book and I’m looking forward to it’s arrival at the library where I may take a second run through to refresh my memory. 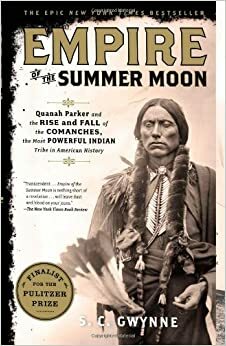 Empire of the Summer Moon is one of those history books not written as an assemblage of dates but rather a flowing story of real lives that intersected at important times along with personalities that were destined for greatness. The battle for occupancy of the West was fought, ultimately, by the Comanche, and it was their skill with horses and battle that allowed them the dominance they held for many years. Quanah, the leader of the Comanche, was the son of a warrior and a white woman who had been kidnapped at age nine and when offered to go free said no and stayed with the tribe. That story alone is worth a read. Yes, I am truly fascinated by myths and legends. American Indian ones are so poignant because their roots are all around us. We live in and enjoy the same land that inspired lifetimes of stories and tales. 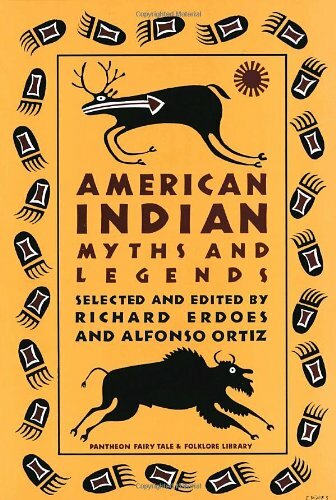 This collection was put together by Alfonso Ortiz, the Anthropologist of the Pueblo, and Richard Erdoes who was an Austrian born journalist. Erdoes visited the Pine Ridge Reservation while on assignment in 1967 and thus created both his fascination with and enduring political support of the American Indian Movement. This collection is not to be missed. If you have ever been to a Pow-Wow than you understand the power of the drums and guttural singing that is on display. The Northern Cree of Saddle Lake Alberta, Canada are one of the best ranked Pow-Wow drums in North America. Each Pow-Wow that happens in the nation is always hosted by one drum group that uses a specially made drum where at least four or more people can sit around it. 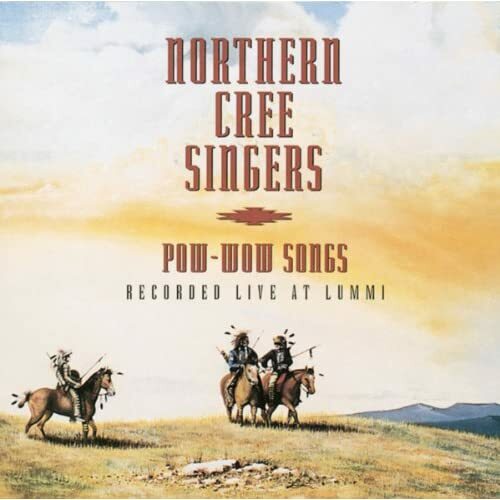 This album was recorded live at the Friendship Pow-Wow in Lummi, Washington.